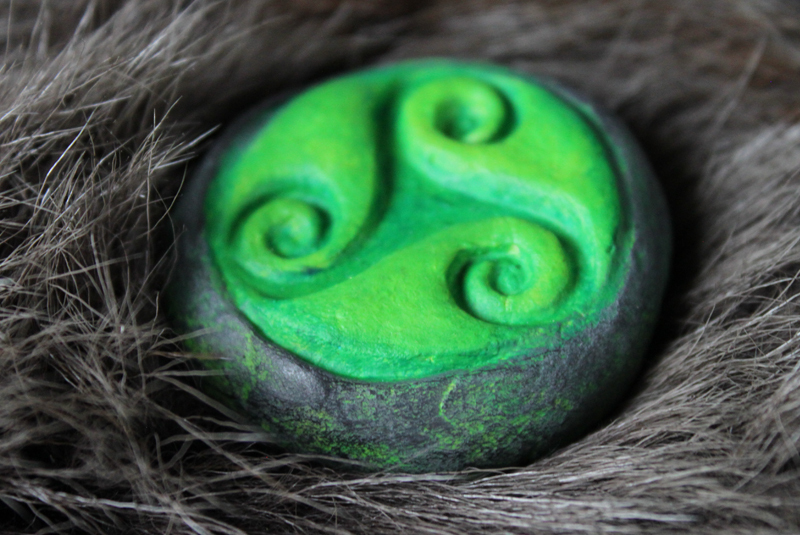 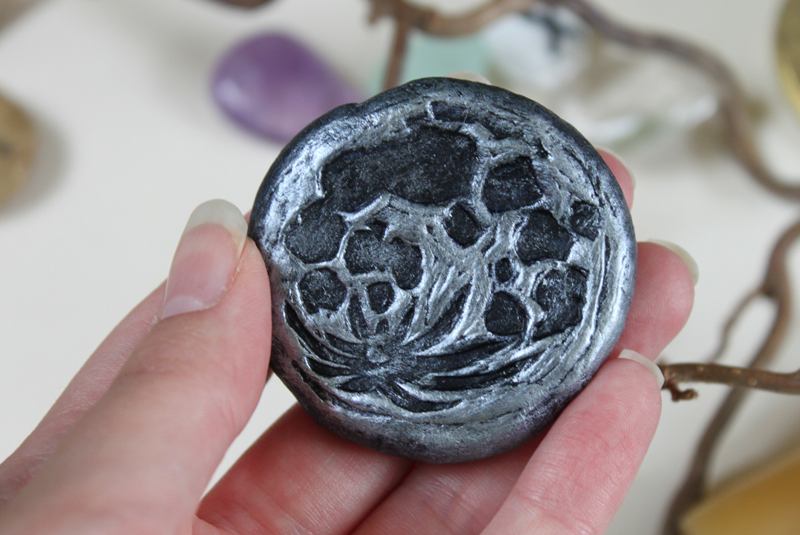 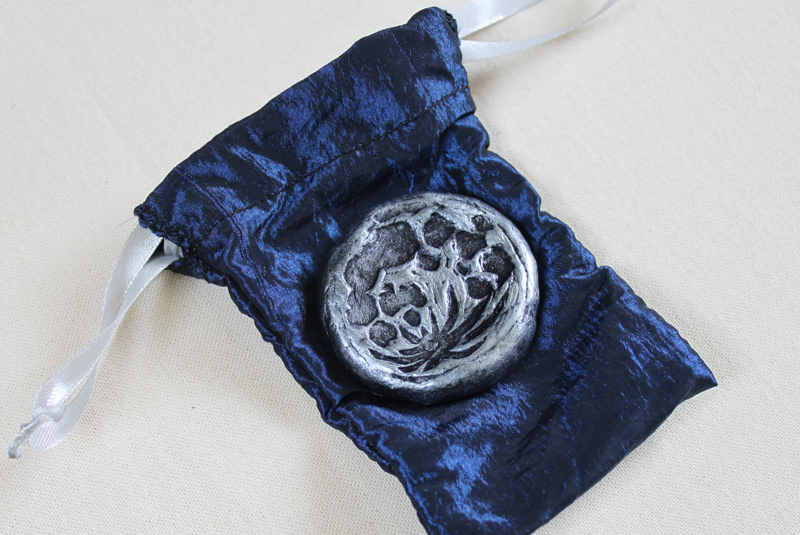 Some of these hand painted clay amulets are available at my Etsy store. 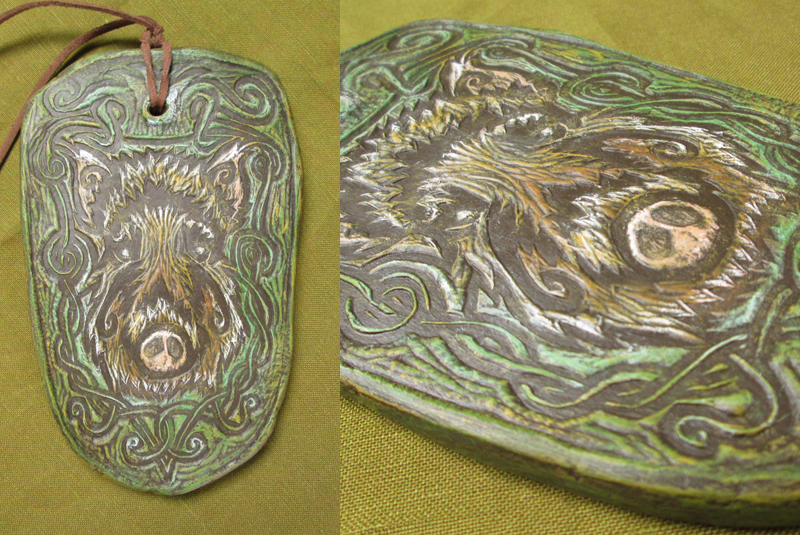 These plaques and amulets were made using air-dry clay and were then hand painted. 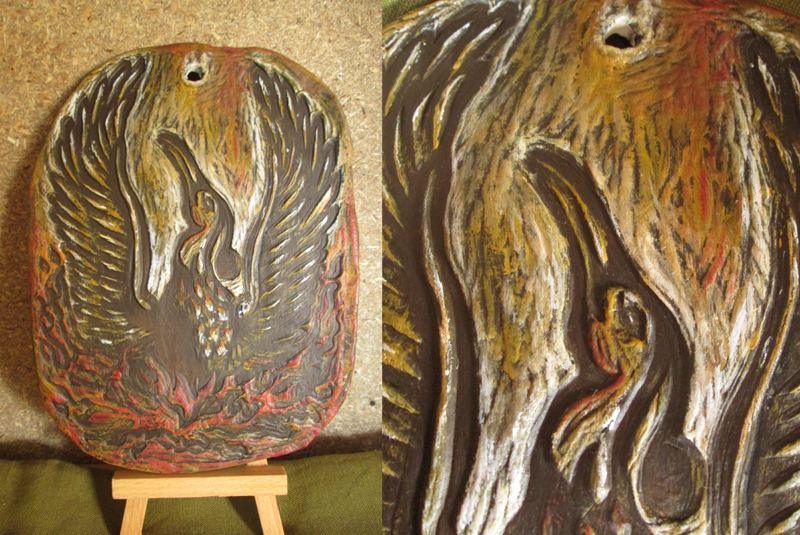 The Boar, Phoenix and Moon were stamped with hand carved lino stamps and then left to dry to create relief plaques.